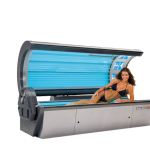 At Sun Splash Tans we use top quality, state of the art indoor tanning salon equipment to make sure your indoor tanning session leaves you with the best possible tan. When considering a bed in which to tan, a general rule is that the more watts, the faster and richer the tan, which often means it lasts longer. For example, with the level 1 bed, you might find in order to keep a deep dark tan you need to tan two or three times a week. 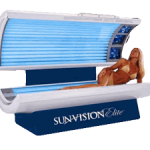 With the level 5 bed, however, you might find you only need to tan once a week or less since the tan you get each time is darker and much deeper. 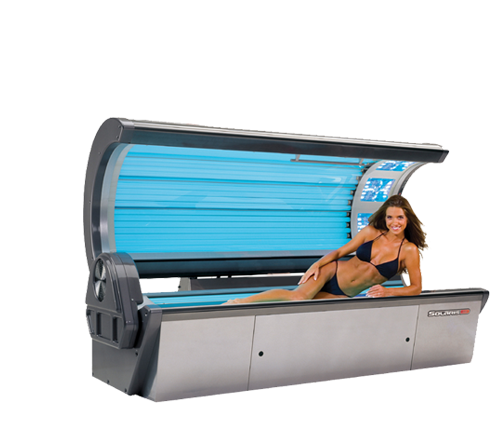 Sun Splash’s tanning beds are grouped into five intensity levels. The higher the level, the faster and more comfortable the experience with longer-lasting tanning results. However, your sunburn potential does not vary much from machine to machine meaning you should select a tanning bed that fits you tanning needs, budget, and personal preference. If you want a deep, long lasting tan with lots of immediate color, Level 5 is the best choice. 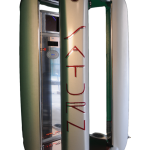 This is one of the most powerful machines available on the market today giving unsurpassed tanning without increasing your chance of sunburn. 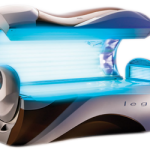 The Level 4 bed is the latest design in high-power tanning bed that offers a combination of superior comfort with intense tanning power. The Level 3 stand-up is fast, but still does a great job of giving you a longer-lasting tan. Level 2 isn’t as powerful as levels 3-5, but still do a great job of getting you tan.